I want to setup Forms for several staff members at our NonProfit business... We have a corporate account with Google and I understand that I can integrate Gdrive with JotForm... However, how do I setup the form to integrate to a staff member's Google account ... so I don't have to have the data on my Google account ? I was able to integrate the form using a Google Apps based account. 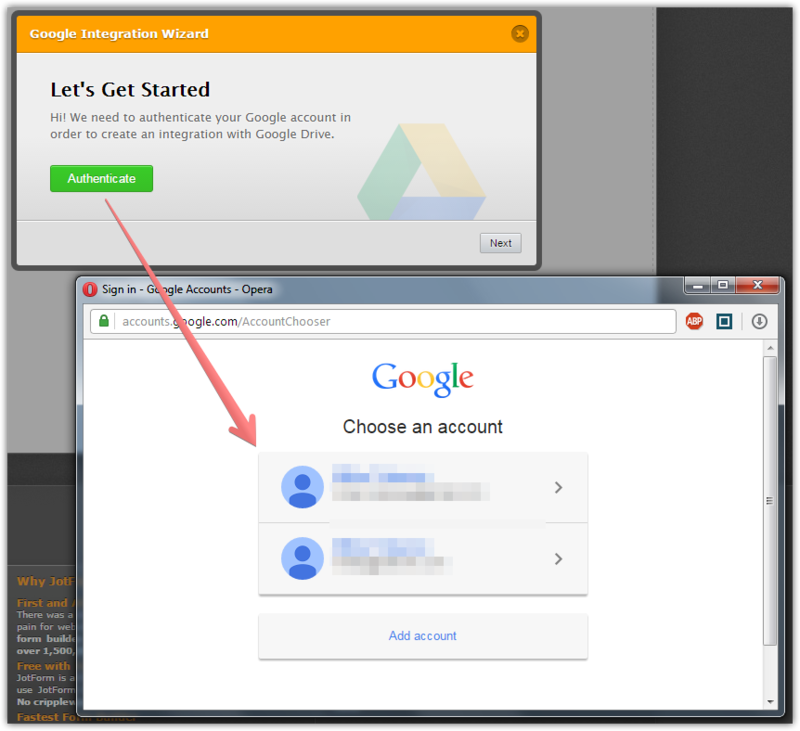 You can select the Google account during the Authentication step. It means that you will need to have access to the staff member's account (during the integration).